Step 1: Before initially loading filament, loosen the set screw that contacts the cam surface of the dial. Set the dial to position 1. Tighten the set screw until the drive roller makes contact with the idler roller. Do not heavily torque the set screw, just tighten it using the shank of the allen wrench. Step 2: Rotate the dial to position 4. (Confirm that the dial rotates between 1 and 4 without binding. If it binds, loosen the set screw a small amount.) At this point, you’re ready to load a filament and print. Use position 1 for very soft materials (Like Jellyfish or Ninjaflex), position 2 for moderately soft materials (like SemiFlex), position 3 for moderately hard materials (like ABS), and position 4 for very hard materials (like filled PLA). Set the correct dial location before loading filament. Step 3: Load filament. 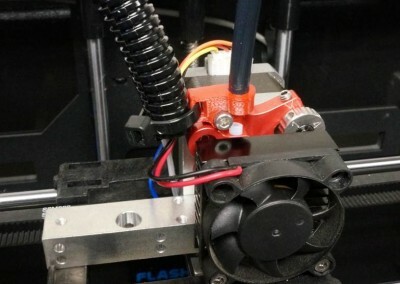 With the dial at the correct setting and the extruder at the correct temperature, run your printer’s normal filament load cycle while holding the filament between your fingers. (If your printer doesn’t have a load routine, use the print file here). 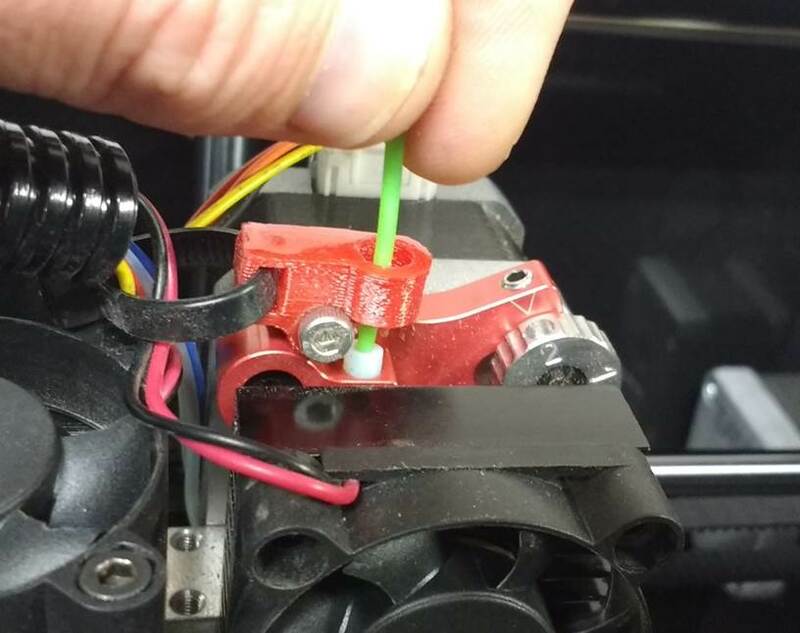 Tighten the adjust screw until the filament is pulling hard through your fingers. If the motor begins stalling, loosen the adjust screw by 1/8 – 1/4 turn. Step 4: Prepare to print. 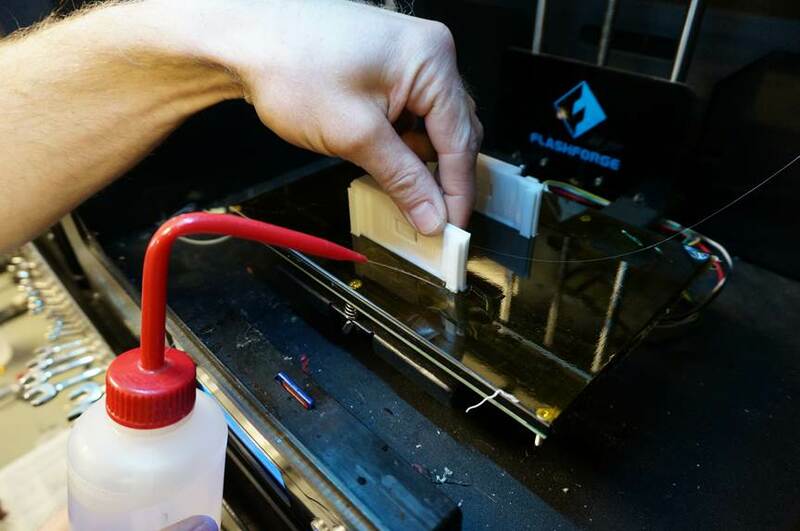 Do your normal print setup routine (build platform prep, acetone clean, application of bonding agent, preheat, etc). Everyone has their own depending on their printer and the seriousness of their OCD. (See below for some useful tricks and methods). If you are having trouble printing PLA, the first thing to check is the heatbreak. 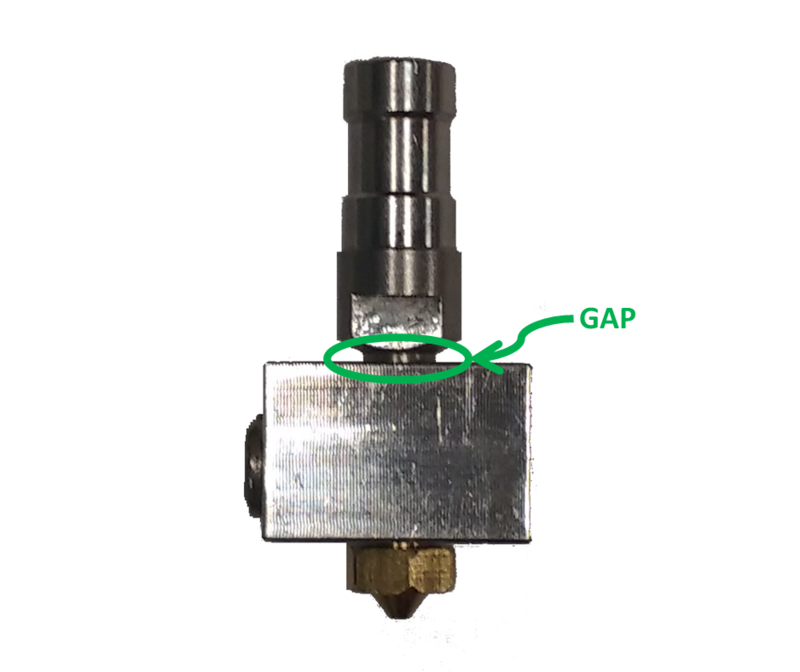 Make sure there is a gap between the heater block and the wide part of the barrel (see image). During assembly, you should screw the nozzle in as far as it will go, then back it out 1/4 turn. Then use the wrenches to tighten the barrel against the nozzle. To understand how the cam dial works, see the How It Works page. If your printer has a Load/Unload function, go ahead and use that. If not, heat the extruder and run it backwards. 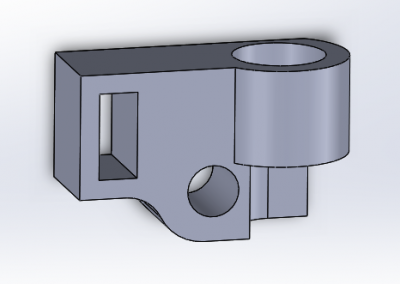 If this is too cumbersome, you can heat up the extruder, loosen the cam to position 4, and pull. To load, again heat the extruder, and run the extruder motor forward until some material comes out the nozzle. 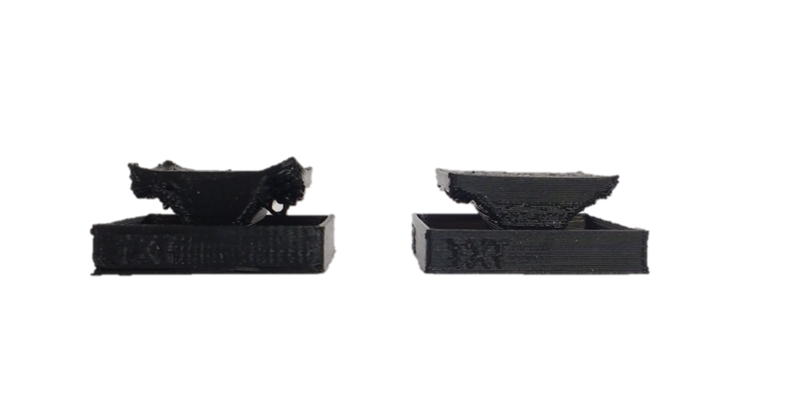 With rigid materials, you can push the filament through manually. It may help to have the upper PTFE guide tube installed, which will put the filament in the correct location for loading. 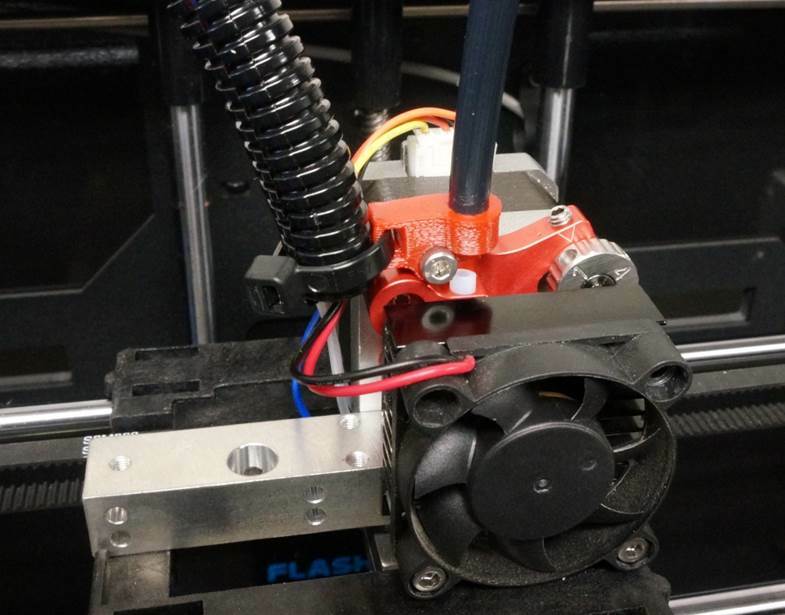 You can use the print file below to load and unload filaments on the Wanhao Duplicator i3 (and similar). It will home, center, unload for a little while, wait 10 seconds, the load for a long time. 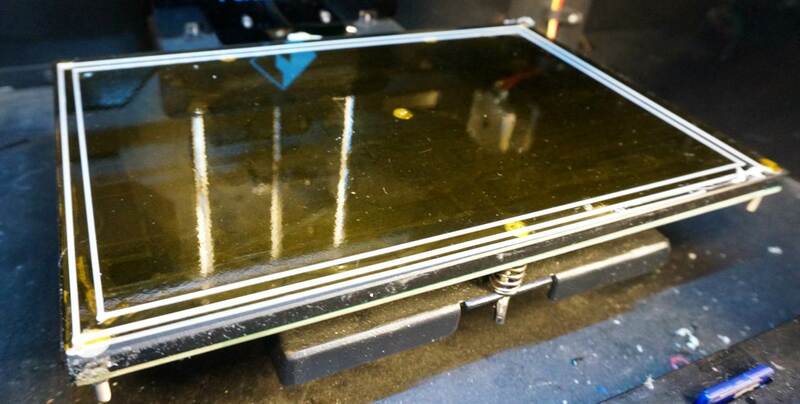 When printing Ninjaflex or other TPU material, bed adhesion is typically not a problem. Or, the problem is that it sticks too well. To stick: clean your print surface with alcohol or acetone. We recommend Kapton tape for the smooth finish (important if printing window stickers). When applying Kapton tape, make sure to first clean the surface that the tape is being applied to with alcohol or acetone. To remove: spray alcohol or acetone on the seam between the part and the print surface to help it release. 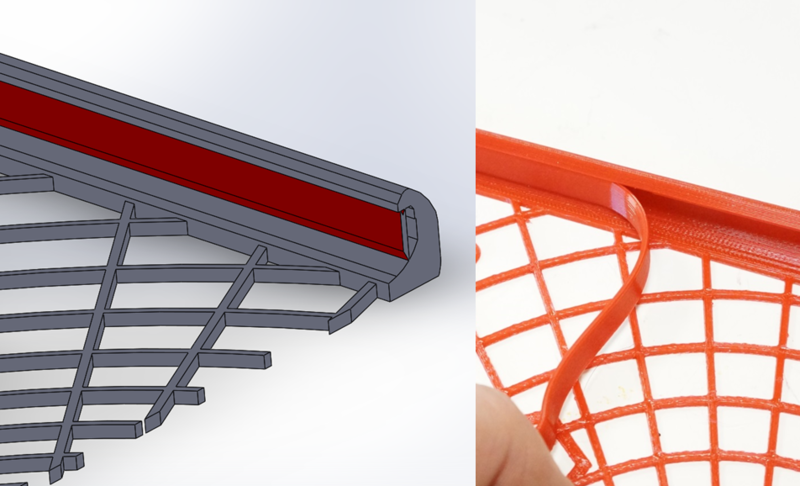 Printing Ninjaflex is generally easier, but not so when removing support. Ninjaflex is sticky stuff, so typical support will be difficult to remove. But if the contact between the support and the part is only one trace wide, it can peel off very nicely. Model in your own support on overhangs, get it started peeling by making a slit with a scalpel, and pull it out. You’ll be printing custom phone cases in no time.